Farm Frenzy 3 – Games for Android 2018. 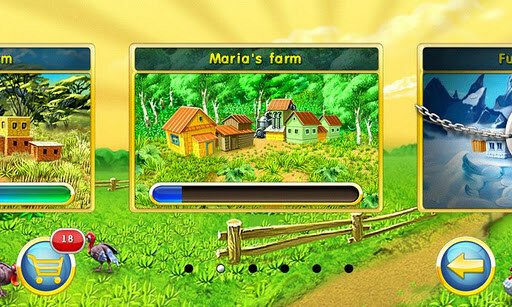 Farm Frenzy 3 – The best farming simulator for Android. Farm Frenzy 3 - a new part of the famous farmer simulator from Russian studio developer Alawar Entertainment. The game continues the tradition geimpleya laid down in the previous chapters, and we once again have to completely take over the management of a small, but extremely funny farm. Differences between the second and third part was even less than we might have thought. In general, these are small graphical improvements and bring the game to a level that should match 2012. Of course, all the maps and quests in the game update, and now we are available 95 levels on five different farms in the farthest corners of the world. Tasks and solutions remained unchanged. This simulator farm we will continue to carry out simple tasks, such as: x-dial number one resource and x-number of the other. If you have ever played in these games, it would be very easy to grasp, especially as the game is fully translated into Russian. 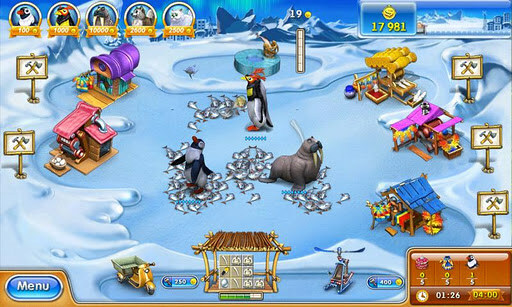 For example, the first level will give us a mission: to collect the 5 units of eggs, flour and cheesecakes. To do this we need to buy a few chickens, planting grass for them, collect eggs and send them to the factory for the production of flour. The finished flour we cross to the cheesecake factory and produce. 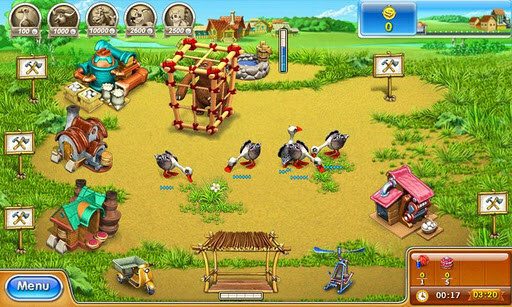 All extracted and manufactured items are sold for money, and buy more chickens or improve plant. Flexible system improvements and leveling buildings. Periodically on the card will appear wild animals that can eat our chickens or pigs. As soon as they appear, you must immediately catch them in a cage and sold to the zoo. Result of the job depends on the time spent. The ideal execution time for the gold medal shown in the lower right corner of the screen. Summary. 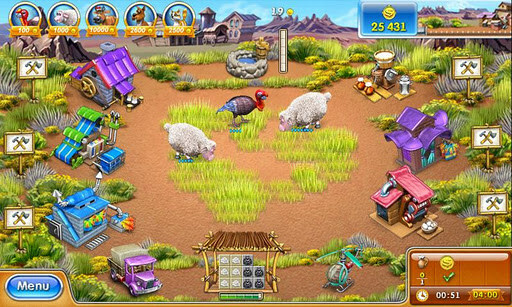 Farm Frenzy 3 - it is a very beautiful simulator, where you can play all day long, collecting the harvest, producing products and improving buildings. 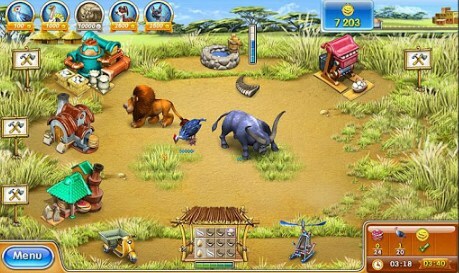 It is unfortunate that the company Alawar has decided not to release a free trial of the farm. You can download the game from the store Google Play at a modest price of 61 rubles ($ 2). If you're looking for something similar, but free, we offer to pay attention to an interesting Korean farm simulator Magic Three , the review of which is available on our website.